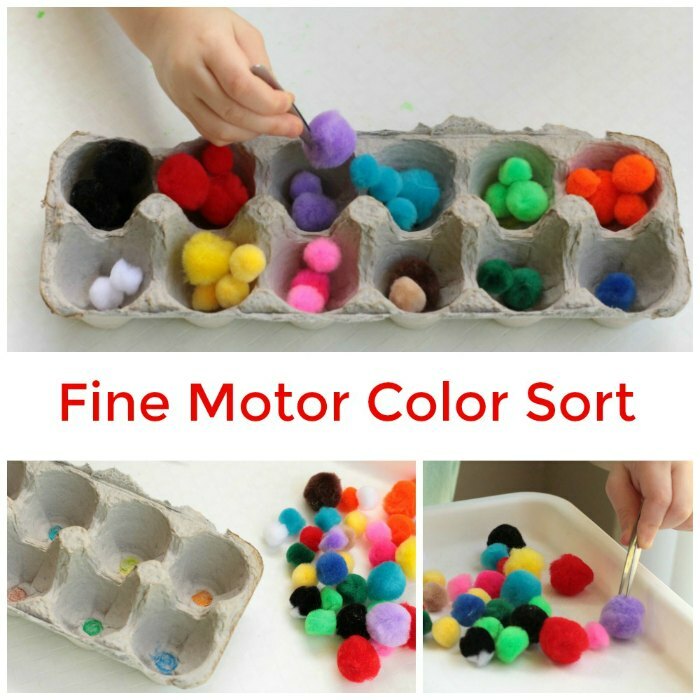 Set your children up for success by setting up this pom pom color sorting activity that targets color recognition as well as fine motor skills. 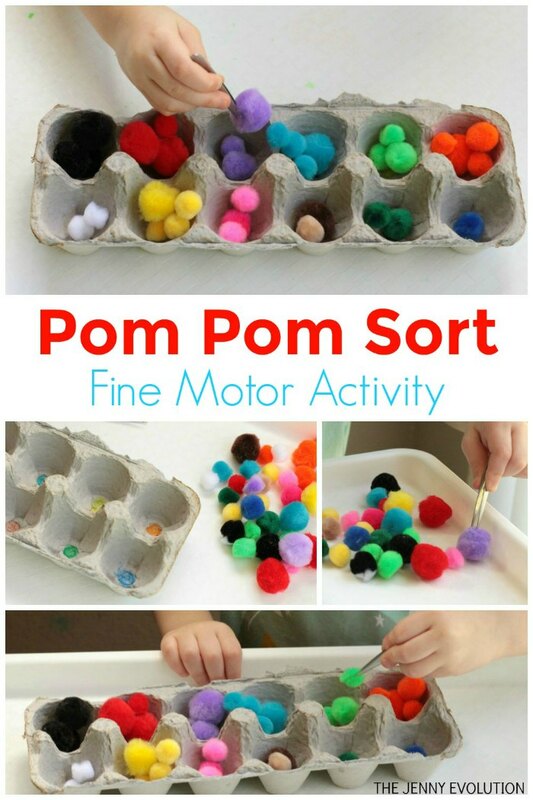 Follow these steps to set up your own pom pom color sorting lab. 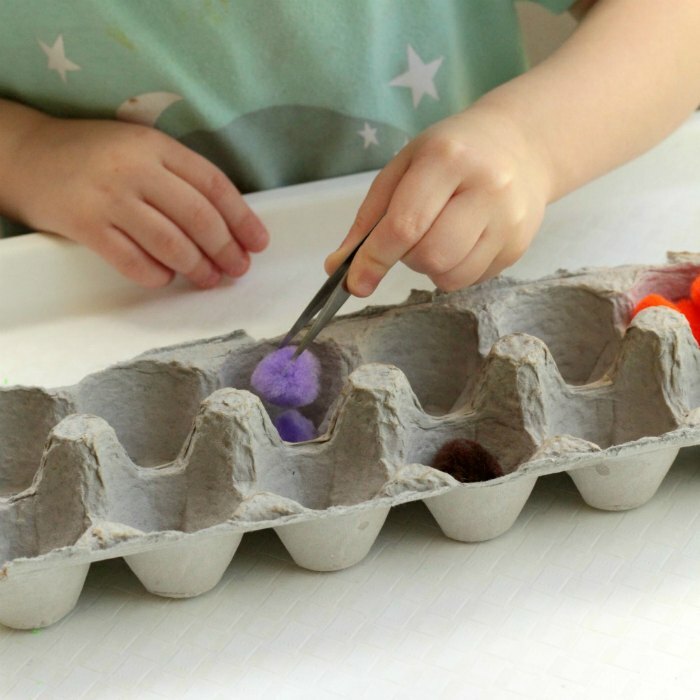 Once you’re finished, store the materials in a plastic baggie and you can play the game again and again whenever you like! 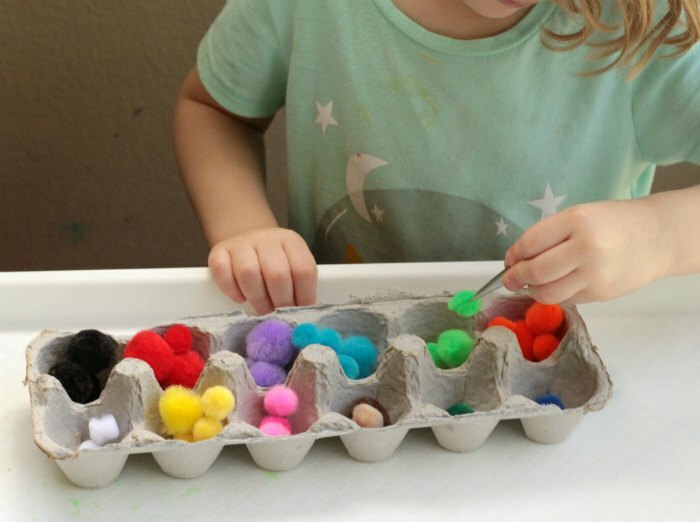 Before starting this activity, make your color-coded egg carton. I just took off the lid and the closure and threw them away. Inside each cup, draw a color that is similar to the color of each pom pom you have. You probably won’t be able to get it exactly right, but unless you have a rigid thinker like I do, it won’t be a problem. You could also place a “seed” pom pom in each cup. 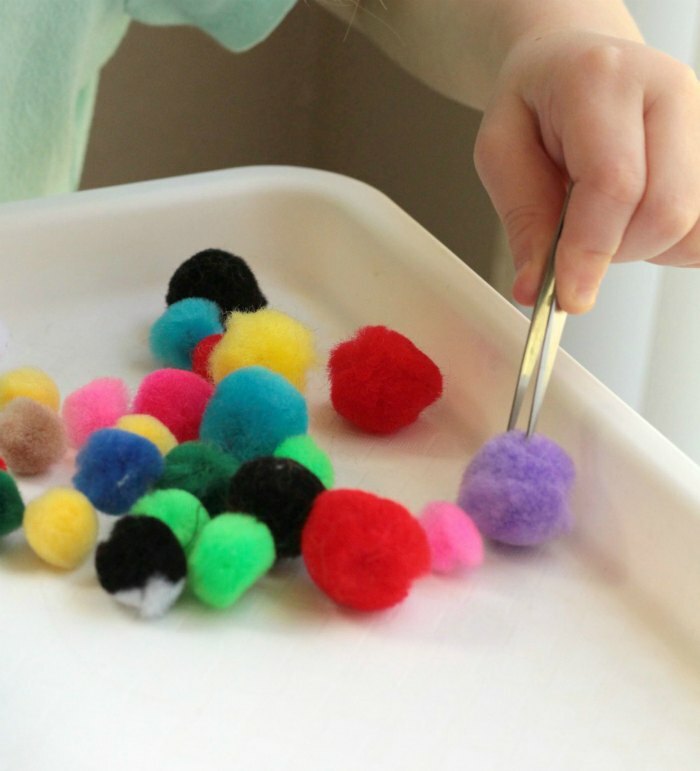 Give a pile of un-sorted pom poms and a set of tweezers to your child. I just used tweezers out of my cosmetics, but they do make plastic tweezers for this sort of activity as well. 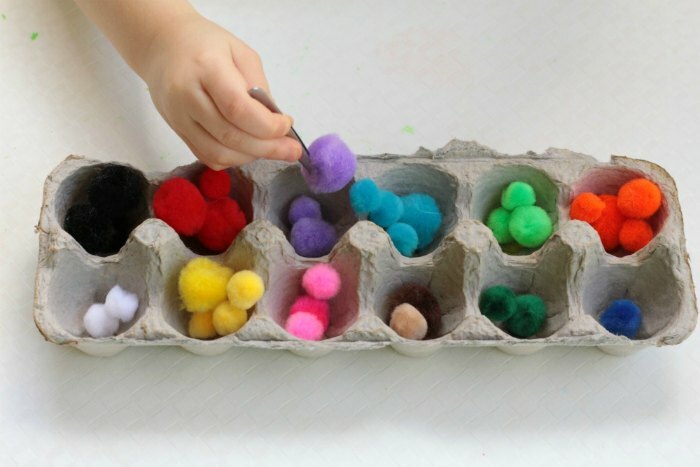 Let your child sort the pom poms and place the appropriate pom poms into the appropriate cups. 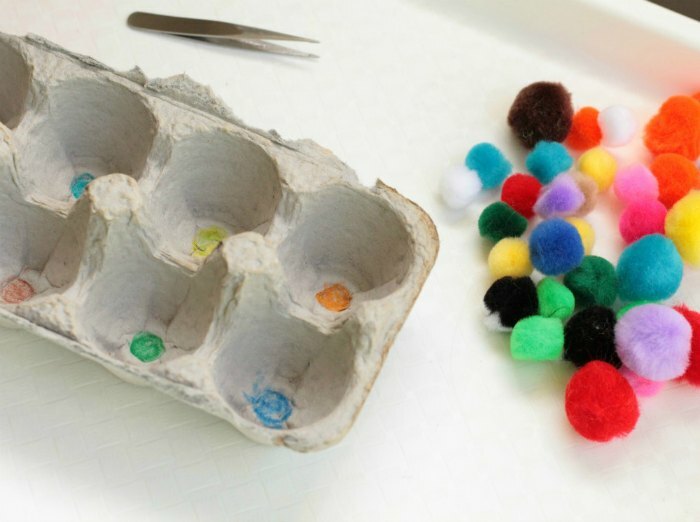 Our egg carton could hold about 6 pom poms in each cup. I had to help my child get started with how to sort the colors, but after I did, it was easy to complete the rest of the colors without any adult prompting. Great idea! So helpful for when you need to get something done! Thanks for linking up!